Business printing costs can be difficult to manage, and they are oftentimes higher than you would think. Finding the true cost of printing within your business means gathering all print-related expenses and assessing them. In this post, I'll be covering which expenses affect your overall printing costs as well as some strategies for lowering those costs. Printing expenses include all supplies used for printing, along with the costs of the print equipment itself, maintenance and repair expenses. While most would think business printing costs are down in the digital age, the average business employee prints 10,000 sheets of copy paper each year; that amounts to an average business printing cost per employee of $725. That's a hefty chunk of budget. But that's not all. Another important factor in assessing your printing costs is the effect your current print environment has on employee productivity. 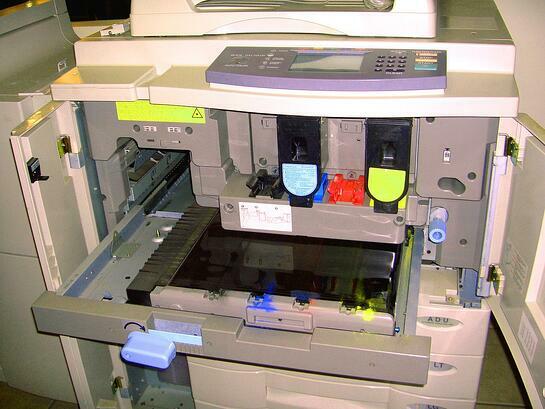 Many offices find that the paper and toner cartridges for their printers are one of the greatest expenses. When print supplies are disappearing, the cause can be anything from inefficient use, printing personal documents or misplaced and mismanaged supplies. If the printer your office uses is outdated or not functioning properly, it can increase the use of print supplies and negatively affect employee productivity. Older print devices can cause numerous problems, and when the costs of maintaining and repairing an old printer start to stack up, it may be worth investing in a new machine.